I hope its not too late to say that. I’ve been MIA, even to myself. I mean, its the 13th and I’m only now figuring out what my new year resolutions are. Two times a year, we are given the opportunity to re-examine our life and where we are headed; birthday and the start of a new year. They are both chances to start afresh, to change, to improve because they are re-evaluations calls for novelty, or change. Mine happens within the span of 3 weeks, December being my birthday and January soon after. This time, short of calling it a quarter-life crisis, I’ve been crossing out my resolution and prayer lists from last year. It really helps to have a hand-written list because by March, we forget what resolutions and prayer requests we made and the ability to cross-reference it when evaluating your year goes a long way. 1. Stop, breathe, appreciate: Life is flimsy. People you love won’t be around for ever. Make their presence in your life count for something. That’s all. 2. Exercise: For years, I made excuses about how the gym wasn’t close enough to my house or that it was too cold to take a run. Instead, I spent hours on end after work watching TV. Last Spring, I literally scrapped myself off my bed and into a Zumba class and I haven’t turned back since. Over time, I even started working out before or after class. I realized that nobody really loves to work out. It’s the long-term benefits that people fall in love with. Even though I’ve always been slim, the difference in appearance and in energy, is apparent. Besides, if you’re entering your late 20s like me, you’ve started to notice that with each year, your bed time inches closer to 8pm. If you don’t discipline your body to exercise now, good luck with it when you’re 40. 3. Finish that thing you started: A book, a class, your Masters, a potential new hobby? Whatever it is you left unfinished last year, get back to it. 4. Stop caring too much about what others think: I realized a long time ago that people will always talk. You can sneeze and they’ll talk. The best you can do is strive to make yourself the best you can be, daily. but doing things just because of fear of gossip or criticism? Cut it out. 5. Listen to your parents: It’s annoying for someone to constantly tell you what you should do or how you should live and of course, they can’t always be right. But the truth is that, our parents have lived and they have learned and they have your best interests. And while the best lessons are learned from mistakes, some good ones are learned by avoiding mistakes to start with. Just give them an ear. 6. See a dentist: This is random, I know. but I can testify to just how damaging, long term, it is to procrastinate taking care of your teeth professionally just because it looks good. Trust me, when the tooth problems start, they seem never ending. Avoid the enormous amount of money my dentist took from me last year, and brush, floss and see a dentist for check-ups. 7. Stop holding grudges: This could take an entire post (as it will soon ) but for now, Ann Lamot said it best, “Not forgiving is like drinking rat poison and then waiting for the rat to die.” Do yourself a favor, let it go. 8. Travel now! If I’ve learned anything from watching my sisters handle my niece and nephew, it’s that traveling is less fun when there are kids involved. I named 2011 “the year of the traveling Ral” and made an effort to visit India, Italy, and Dubai that year. I had the best time of my life. I need to do that again. I know you are probably thinking you don’t have time. But think a single person like you doesn’t have time? wait till you add a spouse and a kid and see how much time you have. And if it’s money you don’t have, research programs or volunteer work that’ll sponsor you abroad..they are plenty! 9. Let it go: No, I don’t mean grudges because I’ve covered that. I mean friendships and relationships that have run their course. We’ve all had those friendships or relationships where you find that you are the one always chasing or sustaining it. Anyone you have to chase, doesn’t belong in your life. If they don’t add value to your life, cut them out. The thing about life is that it revolves around time. The longer you stay in that unhealthy and unhappy relationship, the more of your life’s time you waste. If deep down you know you need to get out and you are waiting for the perfect time, do it now…there’s no such thing as the perfect time to be happy. 11. Pray more: God never gets tired of hearing from you. When you wake up, when you are about to drift off to sleep, when you’re in traffic, or anytime at all. In fact, every moment you can, tell him something about Him, or you. It counts. 12. Accept and Love yourself: If you read my blog often, you’ll find this theme in almost every post. And I won’t stop saying it. This is because its been proven to me over and over again that while you should strive to make yourself a better person, as this post is about, your personal fulfillment in life is limited until you love and believe in yourself. There’s only one YOU. Besides God, YOU are the only person whose love for you, you can control. If you don’t love you unconditionally, why would anyone else? Then, there’s the “read a book”, “learn a new language” and “be more spiritual” but these are extras. 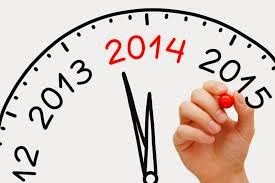 Stay Inspired…and may 2014 be a year of immeasurable success! Awesome read Ralu. Thanks for the reminders. 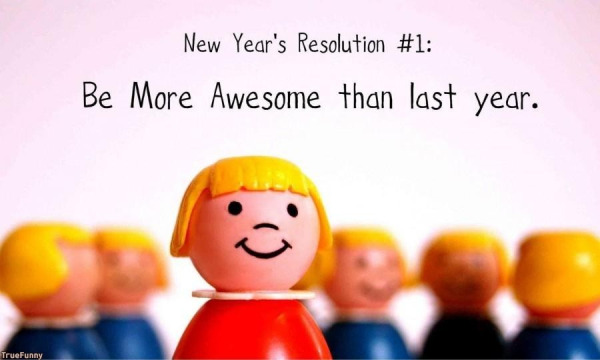 Have a great 2014. Thank you Shauna! I wish you the same & more!